1.6L Turbo! Auto & AWD! Leather Interior! Satellite Navigation! 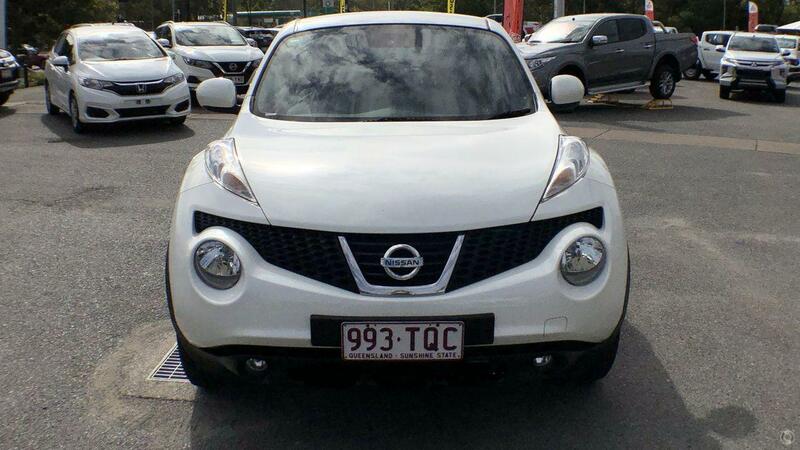 This Highly Sort after Nissan Juke Ti-S looks fantastic in Ivory Pearl and has very low KMs, One Owner of course. This vehicle represents a unique opportunity to buy barely used and save big money compared to a new option or even a demo. Act quickly, enquire now to take advantage of this unique opportunity! Enquire now for a prompt response from our team who can answer any questions that you might have, provide images of our Just Traded vehicles & arrange an inspection at your convenience. ‘Finance to approved applicants only. Private and ABN buyers only (not available to fleet or government purchases). *9.98% P.A. comparison rate is based on a 5 year secured consumer fixed rate loan of $30,000 at 7.95% P.A and the following fees, $450 establishment fee, $590 facility fee and a $7 monthly account keeping fee. WARNING: This comparison rate is true only for the example given and may not include all fees and charges. Different terms, fees or other loan amounts might result in a different comparison rate. ^$97 per week repayment is based on $18,990 drive away, a 7.95% P.A. interest rate over 5 years – total amount payable is $29,709.79 Drive away price Includes dealer delivery, stamp duty, registration and compulsory third party insurance. Finance is provided by St.George Bank - A Division of Westpac Banking Corporation ABN 33 007 457 141, AFSL and Australian credit licence 233714.